Burning Man is just around the corner, and with all these sunny skies begging for two-wheeled adventures, we know some of you have bikes in need of a little flair and functionality. That’s why we’re giving away a bike basket, horn and spoke lights to one lucky ride that we deem most in need. 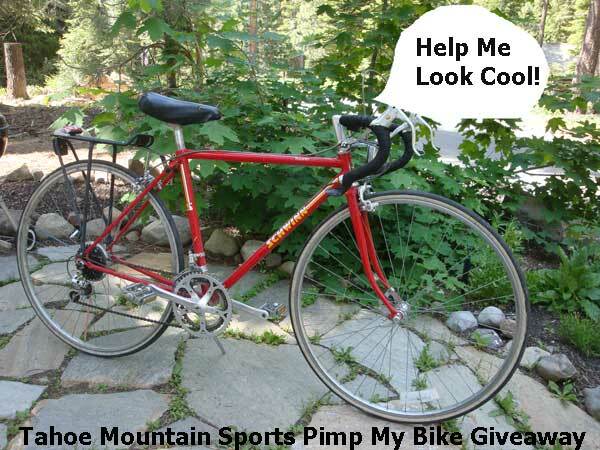 Simply post a photo or video of your down-and-out cruiser to the Tahoe Mountain Sports Facebook wall by midnight on August 1, with a few words on why your bike needs a makeover. Can’t wait until August? Check out our selection of bike gear today. Special thanks to Honker the bike for his superb modeling skills. And give me a break on the makeshift speech bubble… I’m new at Photoshop! Merrell Capra Speed Hiker Giveaway!